Price of Dell Inspiron 15 3565 15-inch Laptop AMD Dual Core (7th GenE2-9000/4GB/1TB/Win10 /Integrated Graphics), Black in the above table is in Indian Rupee. The Dell Inspiron 15 3565 15-inch Laptop AMD Dual Core (7th GenE2-9000/4GB/1TB/Win10 /Integrated Graphics), Black is available in Paytm. Dell Inspiron 15 3565 15-inch Laptop AMD Dual Core (7th GenE2-9000/4GB/1TB/Win10 /Integrated Graphics), Black prices varies regularly. 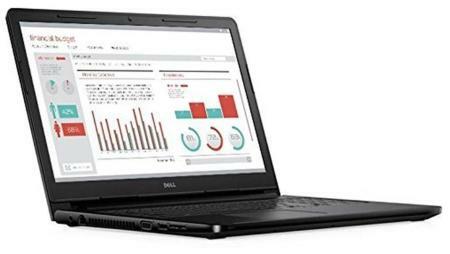 Please keep on checking our site to find out the latest prices of Dell Inspiron 15 3565 15-inch Laptop AMD Dual Core (7th GenE2-9000/4GB/1TB/Win10 /Integrated Graphics), Black.